StrongSupplements.com explains how scientific advances have lead to the birth of a new category. Previous story The Tastiest, Least Unhealthy Energy Drinks Next story HYPE! Strong Stacks: Hacking Physiques or Jacking Your Wallet? Almost daily, scientific breakthroughs announcing new ways to pack on lean muscle mass, shred fat, and improve body function pop up. This burst in innovation comes as no surprise. Synthetic ingredients, which were previously widely available, have come under fire for numerous reasons including side effects and the cries for stricter regulations. Although this pressure has forced many of those ingredients from the market, the demand for supplements that provide compelling results remains. This demand is driving market forces causing the intense innovation which has advanced the industry. As a result, we have the biggest change to supplements in years: Natural Metabolics. Natural Metabolics was born when scientific discoveries made in the African and South American rain forests were used to fuse existing eastern and western health methodologies. Natural Metabolics are generally comprised of naturally occurring, plant-based compounds. They are intended to aid in the regulation or stimulation of certain gland or metabolic processes, hence the name. What really makes Natural Metabolics a step up from the previous generation is their fusion of both ancient and current technologies. Customers are reporting a far lower number of side effects than their synthetic predecessors and they still are registering solid results. Natural Metabolics work to support and optimize the endocrine system naturally, helping to promote fat loss, lean mass gain, and a healthier metabolism for many people. Because of their natural composition they tend to strain the body less than their synthetic counter parts, thus can potentially be combined with other products more easily for enhanced benefits. For example, stacking Anafuse and Sergeant Steel to support greater muscle gain. A rich line of Natural Metabolics product is available at Strong Supplement Shop, like the aforementioned Sergeant Steel, which can help stimulate testosterone production. Sergeant Steel has been available for just over a year and has already moved onto the Top 10 Supplements List. 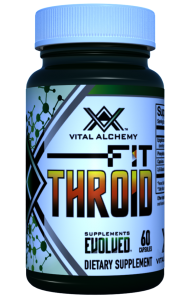 Similarly, Corti Combat, Fit Throid and Youth GH recently hit the shelves to unprecedented debuts, each designed to work in conjunction with the endocrine system to aid in fat loss reduction when it seems the last few stubborn pounds won’t come off. Below are links to articles where you can get more detail, including sources for studies and reports, about some of the individual Natural Metabolic Products as well as links to some of the products themselves. This content is supplied and sponsored by StrongSupplements.com. For more information, visit http://www.strongsupplements.com/.